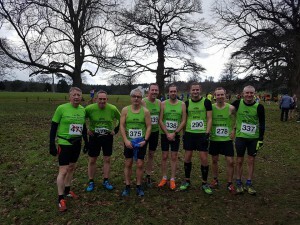 10 hardy Redway Runner souls ventured into deepest darkest Bedfordshire on Saturday afternoon for a frolic in the mud at the Combined Buckinghamshire and Bedfordshire County cross country championships. Held in the palatial grounds of The Manor House in Shuttleworth we were surrounded by 425 acres of beautiful parkland and a stunning building designed by prominent Victorian architect Henry Clutton. Apparently, the building contains many fine examples of 19th Century Victorian paintings by artists such as Sir Frank Dicksee and George Cole, sadly we had little time to appreciate the architecture or the artwork as we slogged our way around the 425 acres of ‘gently undulating’ parkland. 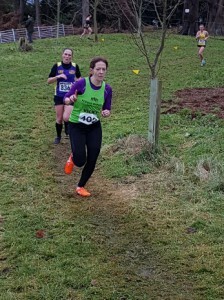 Those familiar with cross country will be aware that course measurement is somewhat subjective and one always arrives at a course with the hope that the officials have overestimated the distance rather than underestimated it and that the undulations are rather gentle as opposed to ridiculous long drags. Well dear readers and fellow Redway runners, the officials in this particular race had certainly used the beautiful landscape to its maximum potential by making us run up any slope, hill or incline. These included incredibly long painful drags that went on for ever and short sharp climbs just to make the legs and the lungs burn right at the point one was ready to give up. And as for the distances, well, one would have thought that with two counties worth of officials then the distance would be vaguely close to the estimate Oh how wrong we were…. 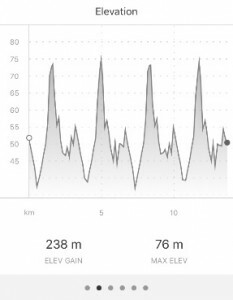 It became clear after the first lap of the men’s race that the ‘estimate’ of 11km was considerably out in what eventually became a 25% under estimate with the eventual distance being almost 14 km !!! Talk about hanging on during the last lap !!! The ladies faired no better and were equally faced with a 25% underestimate where they were supposed to run 8km but actually ran 10km !! But where would the fun be in cross country without mud, hills and vague guestimates of the distances to be run. We had a solid turn out in the men’s team, with 8 hardy souls competing, in the combined Senior men’s/V40/V50 race the men were led home by Dan Hippy in 19th place and 5th in his age category , next in was Adrian Maidment in 23rd place and 9th in category, Andrew Dodds followed close on Aidys heels in 26th place and was the first of the Senior men in 15th place in category and Ben Munns chased him in 36th place and 20th in the youngsters category, Neville Rowles chased Ben home to finish in 41st and 5th in the V50 category closely followed by Richard Doherty in 46th place and 18th in category, Kevin Taylor brought the team home in a fantastic 50th place and 10th in category. As the observant of you will note, there were eight men competing and so far, we have only mentioned 7, well one of our members was lucky, it seems that the officials were treating him with special dispensation, he had a bright red line across his number and that indicated that he belonged to a different class of runner. Luckily for him that meant he didn’t have to run as far and did one less lap than us !!! Once we realised how far we had to run, it was incredibly tempting to find a pen and put a red line across our numbers and join Derek on his shorter run !! Mind you, Derek didn’t have it all his own way as he had to still do the hills, rain, wind and mud 3 times and finished a fantastic 3rd place in his age category. The ladies were brilliant in their vocal support of the men and clearly enjoyed the suffering that we endured, but clearly didn’t have to be too gleeful as their time was yet to come !! 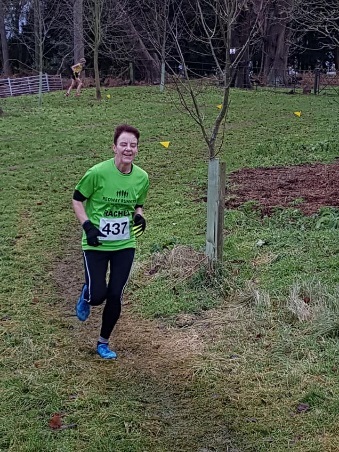 Redway runners were represented by two brave ladies who ventured out to Bedfordshire, both runners did fantastically well, battling not only the landscape but the weather conditions which had turned somewhat damp and chilly by the time their race started !! 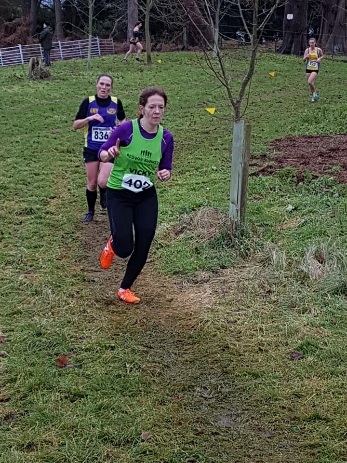 Rachel Edwards was first home in 9th place and 1st in her age category and Victoria Berry, running for the first time ever in spikes (brightest ones I have ever seen ) chased Rachel home in 10th place overall and 3rd in her category. Fantastic performance by all, well done. Onwards to the next Chiltern League race at Keysoe on Saturday ! !